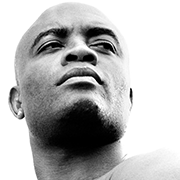 Anderson Silva is a Brazilian martial artist who was born on April 14, 1975. Anderson Silva's filmography includes Hell's Chain, from 2009. There is only one movie featuring Anderson Silva as of 2018. Hell's Chain is the only recent movie featuring Anderson Silva. Hell's Chain was released in 2009.